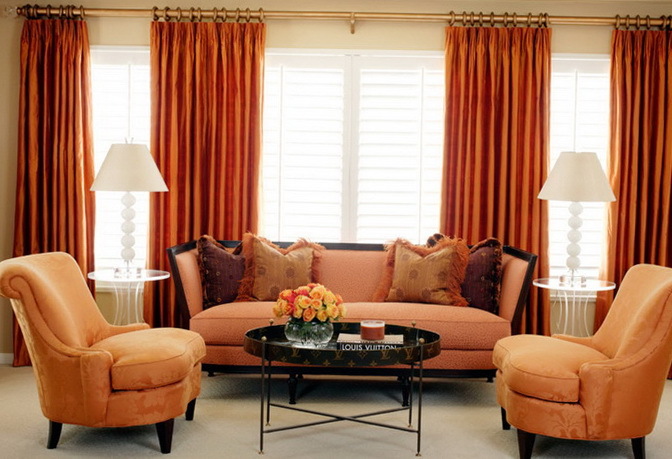 Peach color in the interior is very calming and allows you to relax. 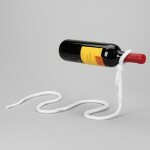 If the color is lighter, there is a feeling of safety and security. If the peach color is brighter that it causes a feeling of joy and celebration. Agree that the peach blossom special and positive moreover it will look perfectly in any interior. Many choosing colors stay on the warmer colors. It should be noted that recently the peach color became more popular, and has become widely used in the interior. 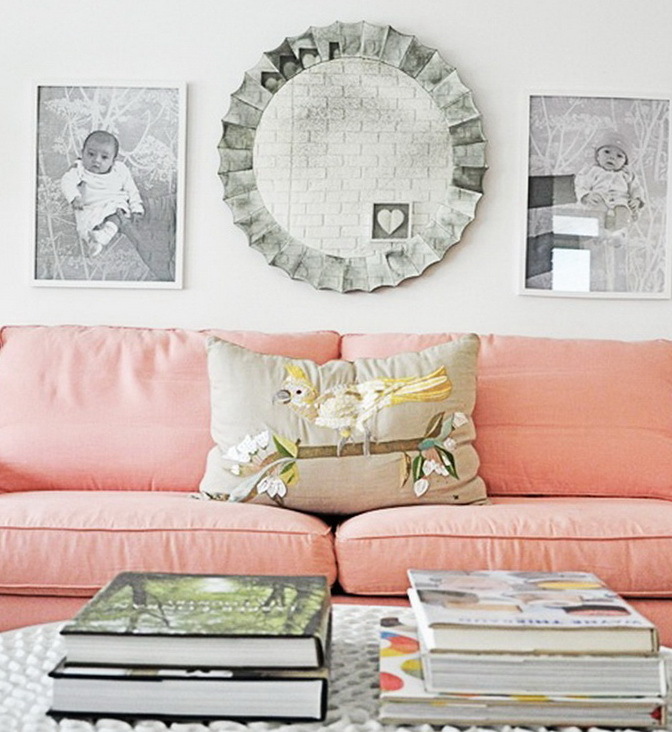 Very nice sofa soft peach color goes well with gray shades, like the image printed gray pictures. 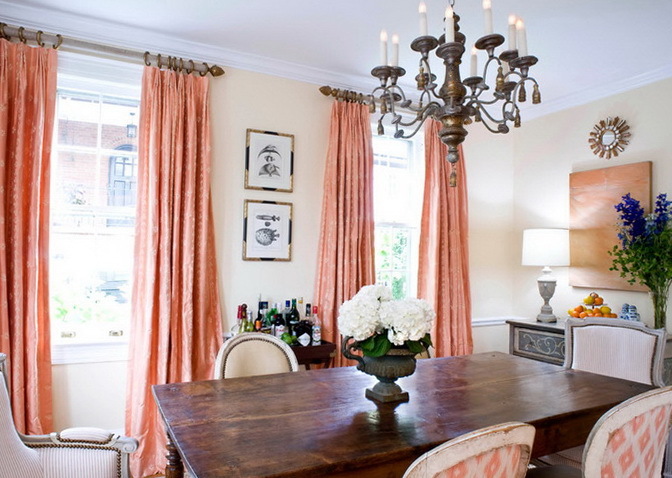 The interior is in peach tones will look amazing in the living room can be used and highlight some of the details, such as peach curtains dilute the interior, and will bring their own charm. 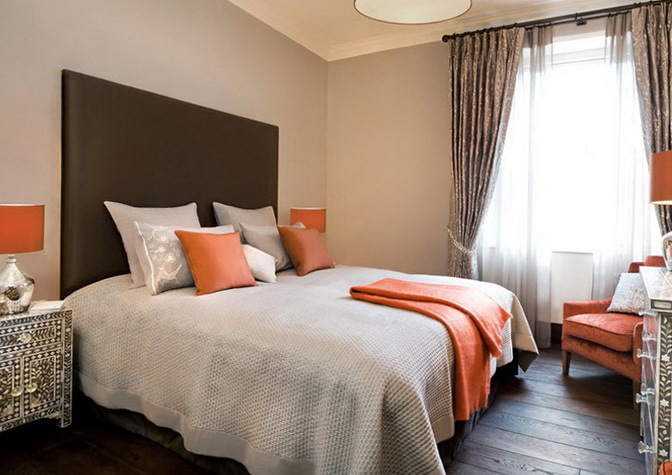 In the bedroom which will be attended by bright colors peach color, for example can be diluted by such things as pillows, blankets, not necessarily to repaint the walls, you can add a couple of details. Beautiful shades complement the interior and will make its contribution to giving the interior of its charm. 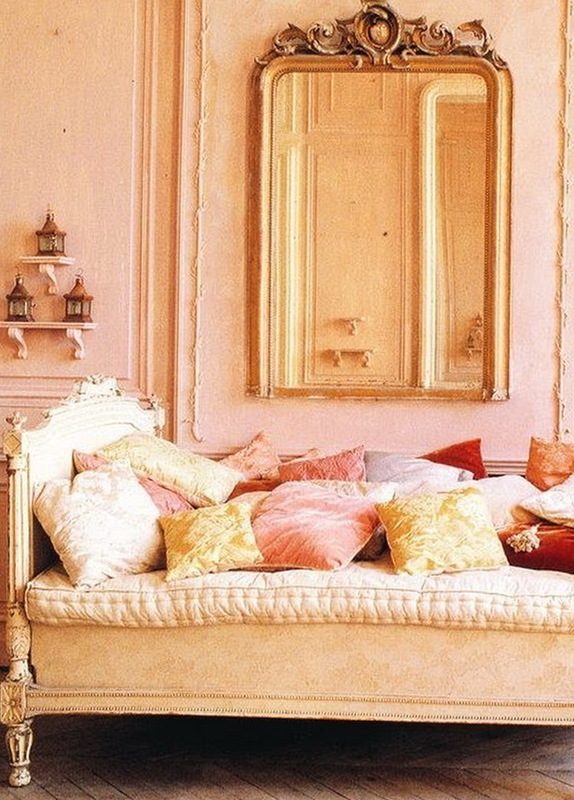 The room where the walls are painted in peach color always will be comfortable and relaxed. 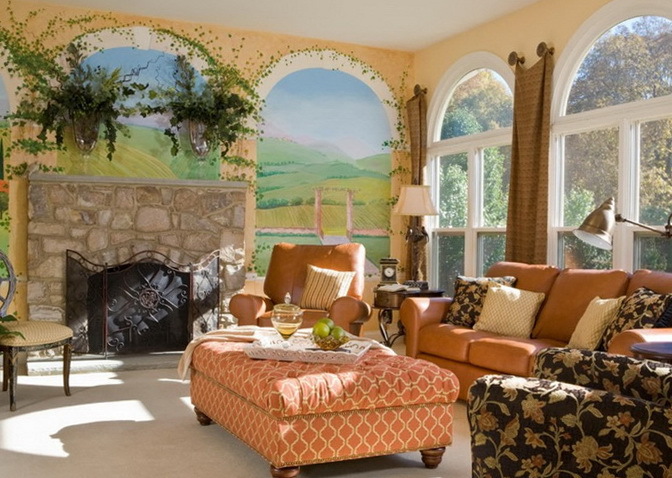 Peach walls create a feeling of the velvety expense of what we remember how bright peaches and rough. Bedroom interior complements the white bedside table with mirror top, they look very harmonious. 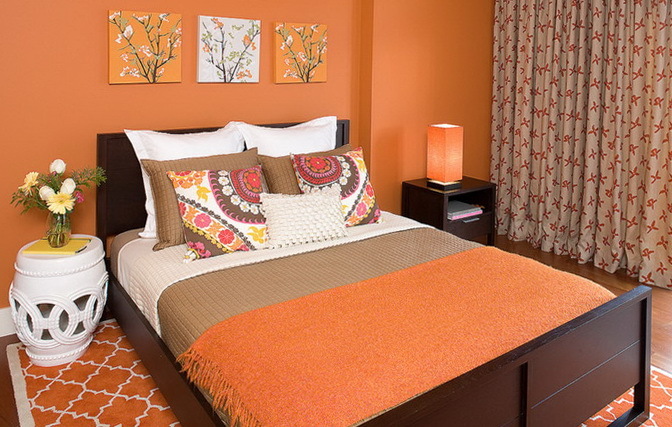 Peach shades will suit those who like comfort, warmth and tranquility. Lovely sofas and armchairs in peach tones created for the perfect holiday. Adding to the interior of the little yellow shades you dilute and make the room more interesting. Peach color works well for sleeping. 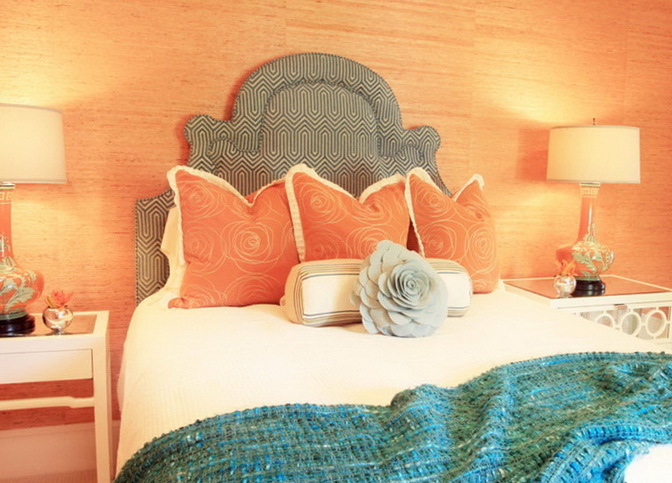 This bedroom has a lot of peach-colored, and it will wrap its human tenderness and affection. The room is designed for gentle and lovely girls. White living room is combined with white kitchen. The interior is white designers decided to dilute the wooden chairs with peach undertones. On the floor lay a snow-white carpet with pimples, which gives the whole interior even more cuteness. 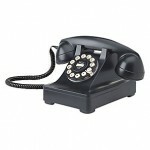 The interior in the style of Ethnic and also goes ahead and does not cease to be popular. Beautiful large banquette peach color with white patterns. 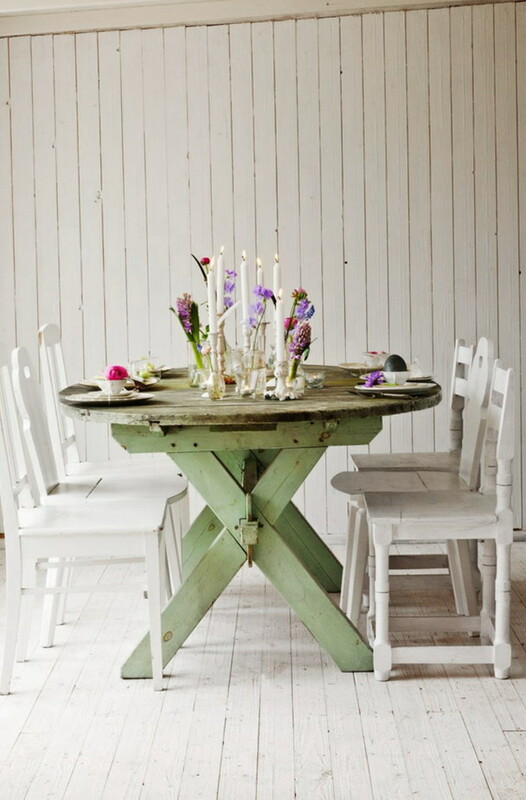 Banquette is also used as a table, it is possible to put a tray with tea, or put the books you are reading. All girls like peach and pale pink hues, but the pink color is more suitable for girls, so you can mix together these shades. Sufficiently dilute colorful cushions. The bed is made in the French style, like a mirror, it looks simply amazing! Gorgeous room and a dressing room and a workshop. The walls are painted in soft pink. A fake fireplace that is a shelf for shoes in peach color looks very nice!